ClearTrade Commodities - Futures trading brokers. 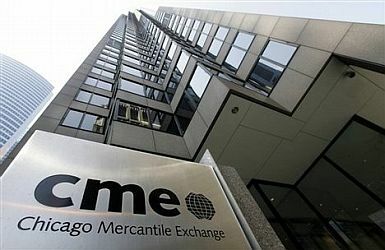 CME Group: Futures and Options - CME Group owns and operates large derivatives and futures exchanges in Chicago and New York City, as well as online trading platforms. The corporation was formed by the 2007 merger of the Chicago Mercantile Exchange (CME) and the Chicago Board of Trade (CBOT). Commodity Futures Trading Commission (CFTC) - Congress created the CFTC in 1974 as an independent agency with the mandate to regulate commodity futures and option markets in the United States. Chicago Board Options Exchange (CBOE) - The largest U.S. options exchange and creator of listed options, continues to set the bar for options trading through product innovation, trading technology and investor education. CBOE offers equity, index and ETF options, including proprietary products, such as S&P 500 options (SPX), the most active U.S. index option, and options on the CBOE Volatility Index (VIX), the world's barometer for market volatility. Commitments of Traders (COT) Reports - Provide a breakdown of each Tuesday's open interest for market reports in which 20 or more traders hold positions equal to or above the reporting levels established by the CFTC. Commodity Futures Trading Commission (CFTC) - Regulates commodity futures and option markets in the United States. Commodities Research Bureau Index - The Index is comprised of 19 commodities: Aluminum, cocoa, coffee, copper, corn, cotton, crude oil, gold, heating oil, lean hogs, live cattle, natural gas, nickel, orange juice, silver, soybeans, sugar, unleaded gas and wheat. Economic Indicators - Via U.S. Census Bureau. FreightWaves - Navigating the freight markets. IntercontinentalExchange (ICE) - Operates leading regulated exchanges, trading platforms and clearing houses serving global markets for agricultural, credit, currency, emissions, energy and equity index markets. ICE operates three futures exchanges including London-based ICE Futures Europe, which hosts trading in half of the world's crude and refined oil futures contracts traded each day. ICE Futures U.S. and ICE Futures Canada list agricultural, currency and Russell Index futures and options markets. Options Clearing Corporation - The world's largest derivatives clearing organization. Trading Tools and Resources on Futures and Options - From CME Group. U.S. Commodity Futures Trading Commission (CFTC) - Congress created the CFTC in 1974 as an independent agency with the mandate to regulate commodity futures and option markets in the United States. The agency's mandate has been renewed and expanded several times since then, most recently by the Commodity Futures Modernization Act of 2000. This webpage last updated on Wednesday, February 6, 2019 4:13 PM.